There isn't a pressing need for new map apps, since Google and Bing do such a good job of showing you everything around you and where you're going. But National Geographic's Trail Maps has you covered for camping trips where you're going to be away from a strong network connection for a while. 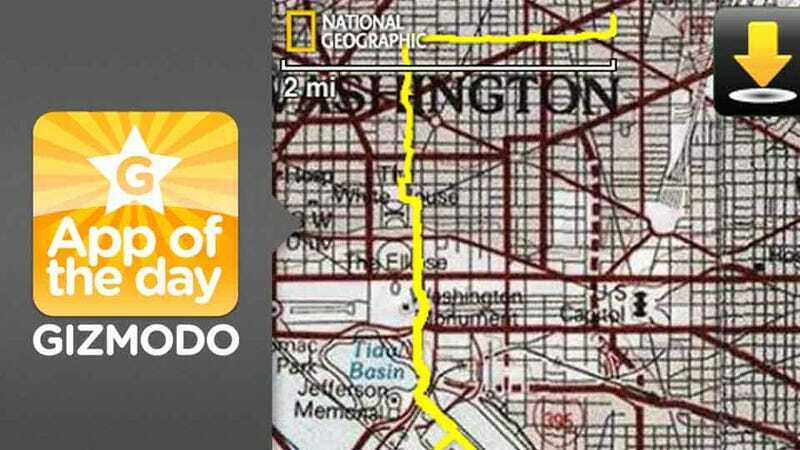 It's a map app that lets you download extremely detailed maps of trails and cities all over the globe. It has hi-res Bing aerial shots and maps from the US Geological Survey. The app also tracks your route across the trails visually, and keeps a profile of your distance, speed, elevation and more. You can also add waypoints, search, and measure distance on the maps. It's basically command central for any hiking trip. As a default map app, Trail Maps would be certifiably insane. Each file is ~100MB, and to cover a single city you'll have to download a few of them. But as digital stand-in for a physical trail map, it's great. If you're going hiking or camping or hunting or whatever else, Trail Maps gives you a local, extremely granular map that won't abandon you as soon as your data connection does, but it also has a ton of features to keep track of your trip if you do manage to stay connected.